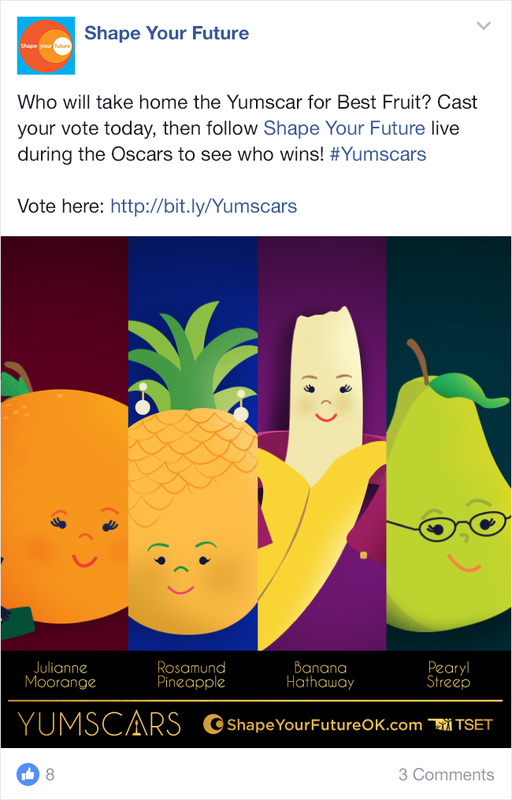 6 categories. 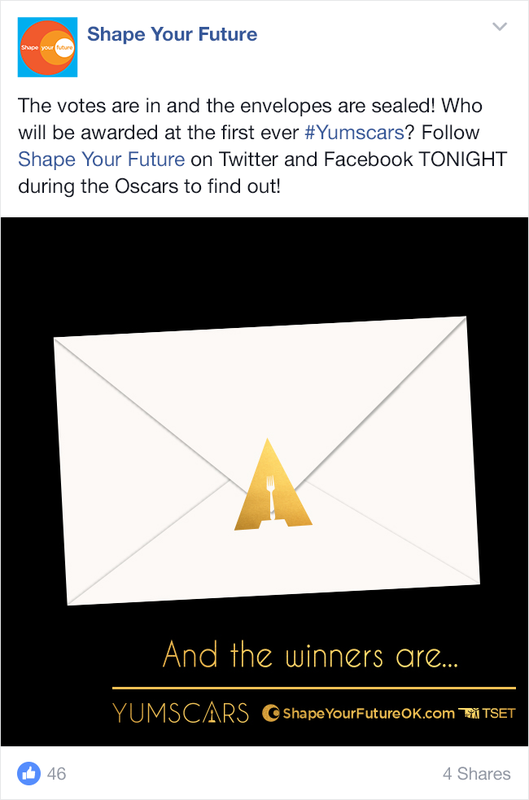 24 NOMinees. 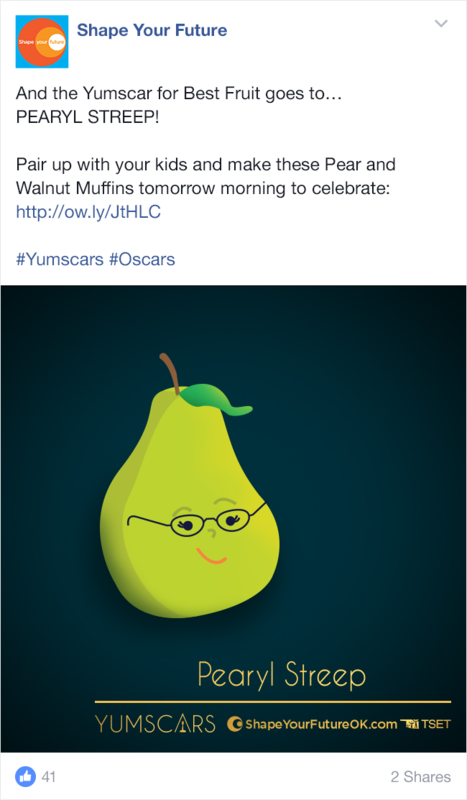 1 unforgettable real-time marketing event. 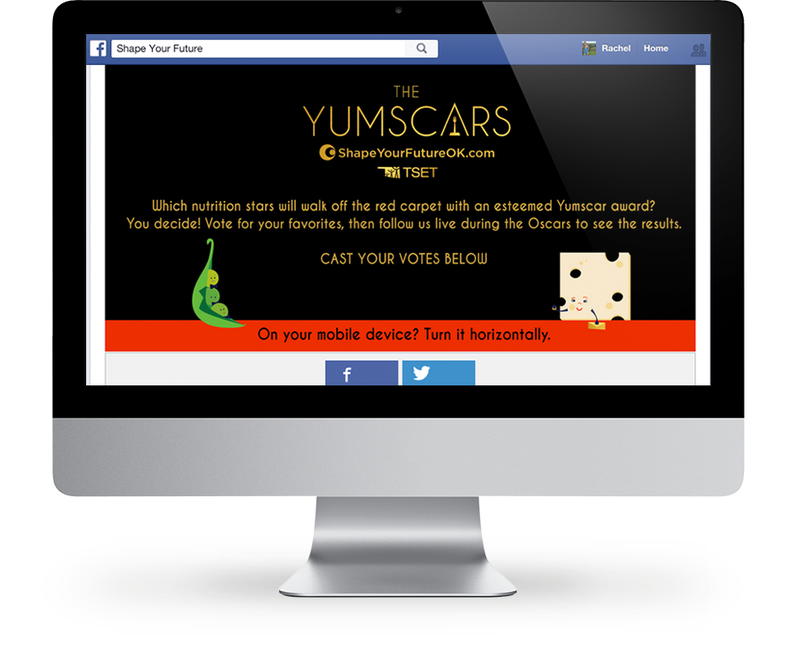 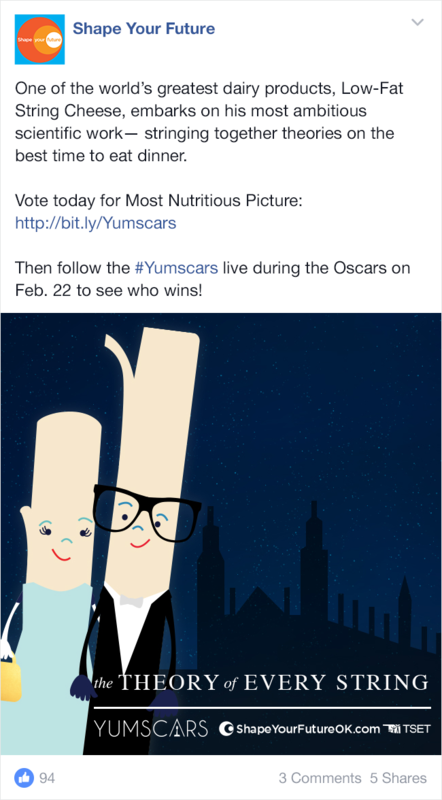 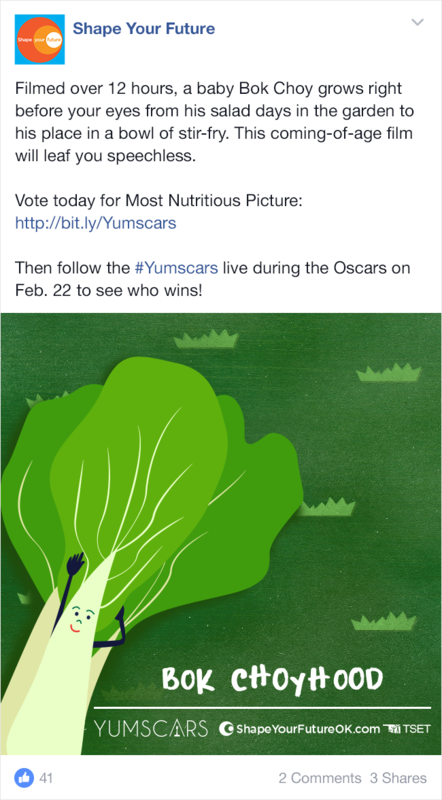 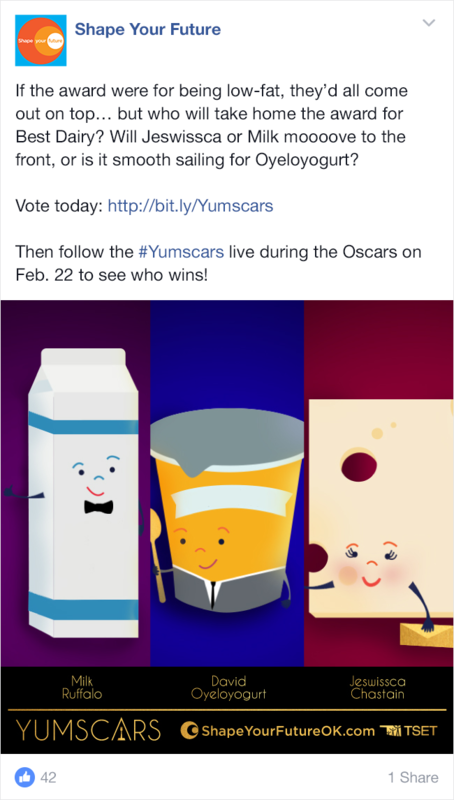 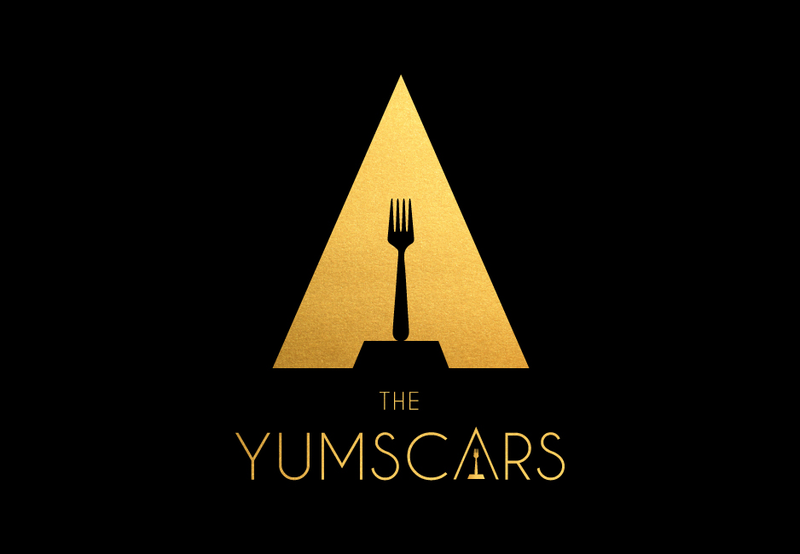 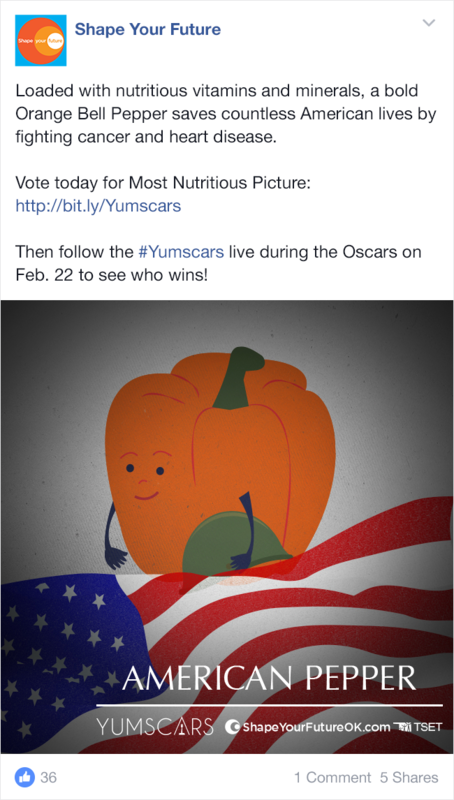 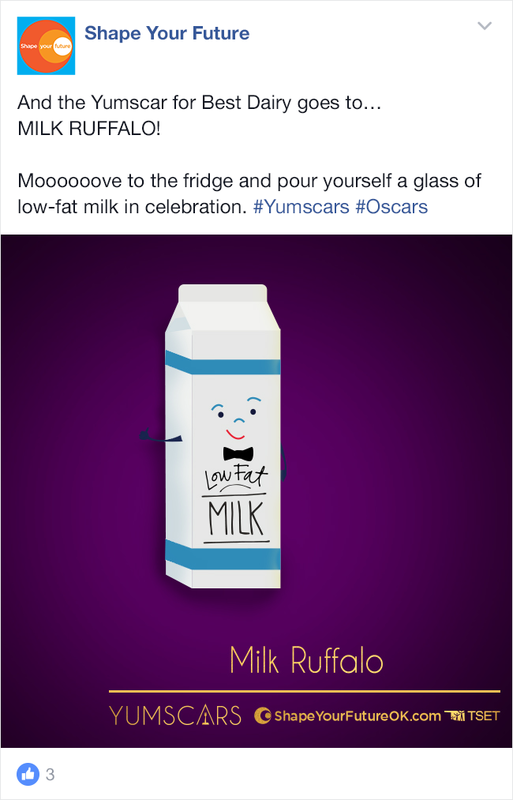 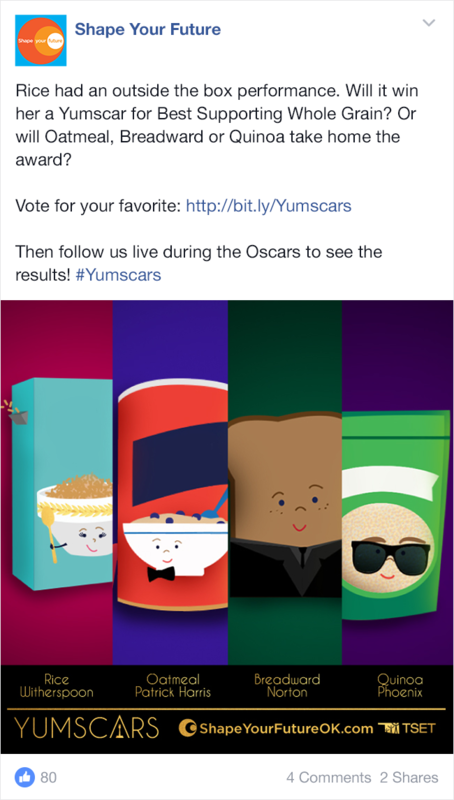 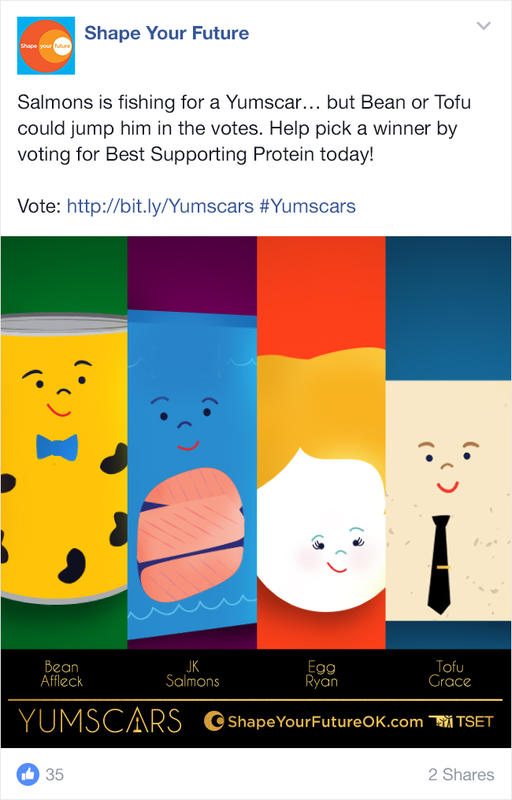 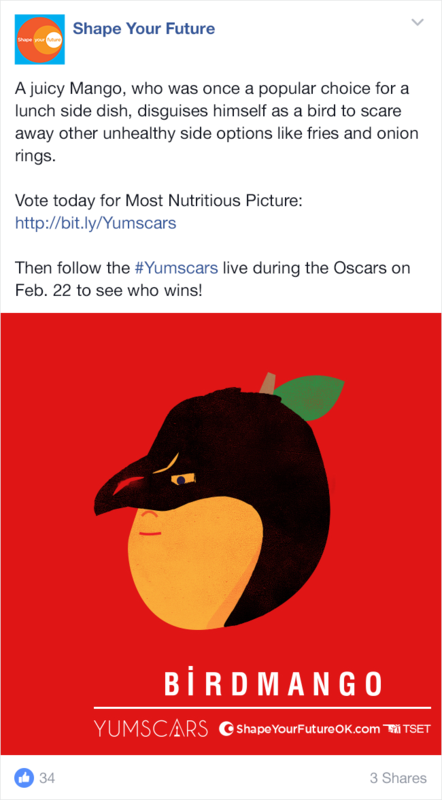 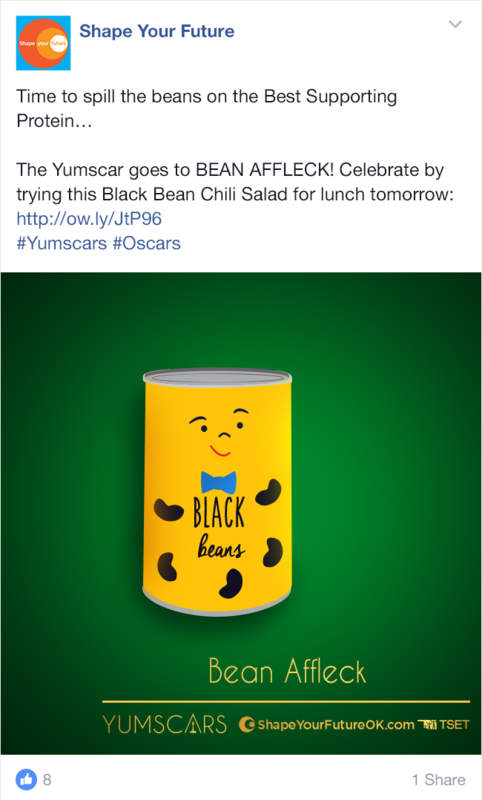 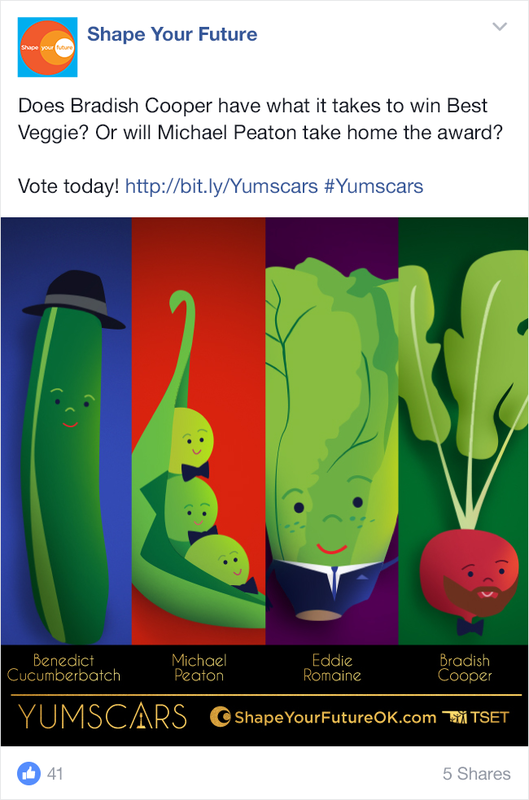 We rolled out the red carpet and let fans decide the winners of the first ever Yumscars, a healthy twist on the Oscars. 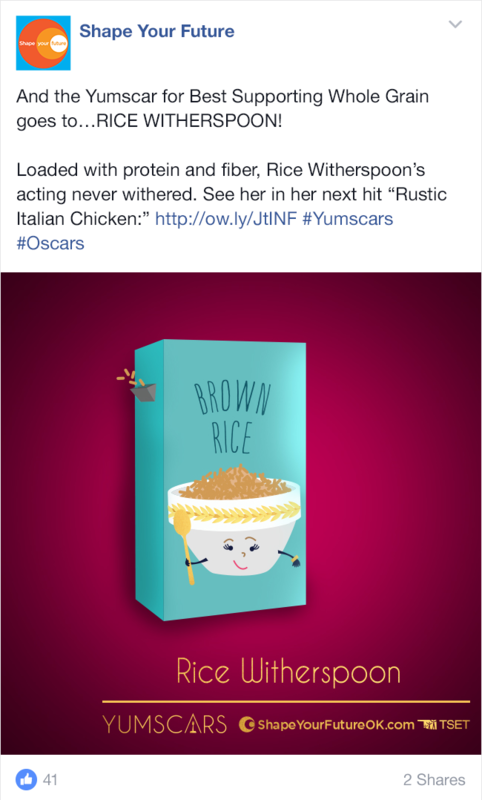 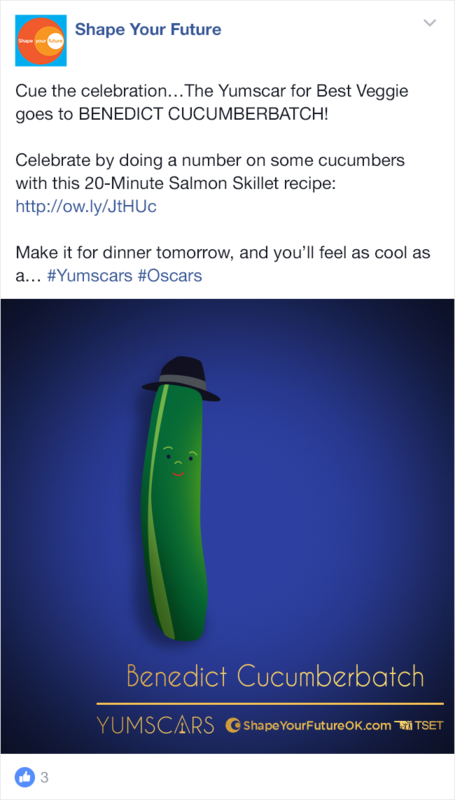 Winners were announced live during the Oscars, making for a fun, engaging night… we’re just disappointed Okra Winfrey got snubbed.